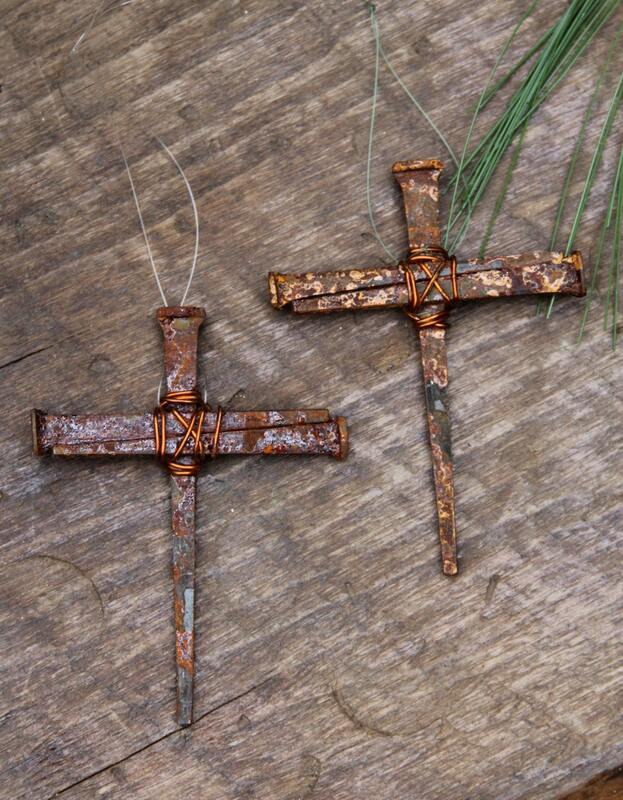 This Amazing Christmas Cross Ornament is an accent with a huge impact! 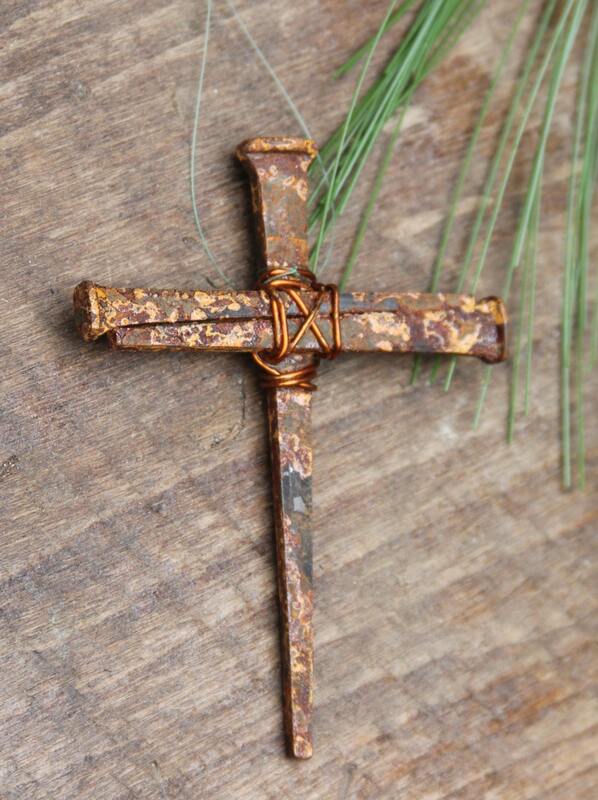 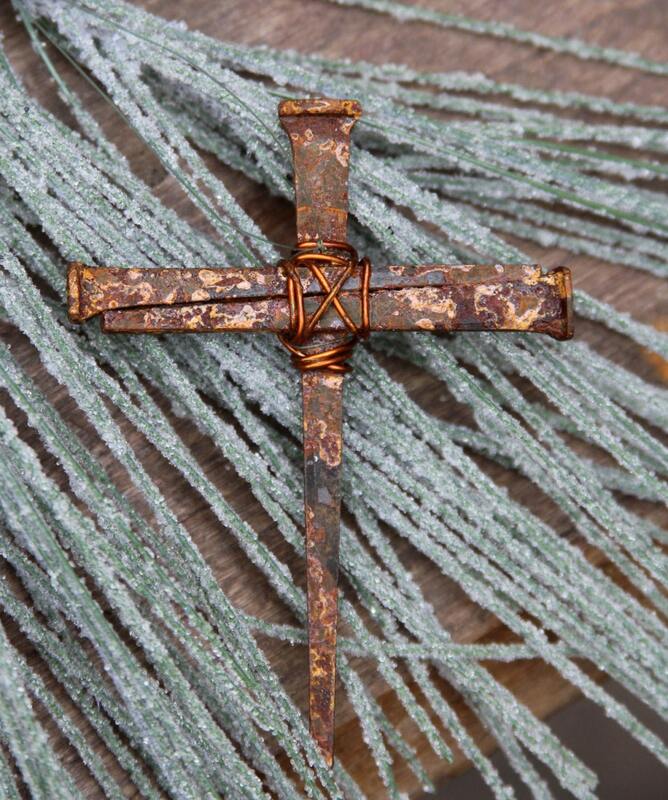 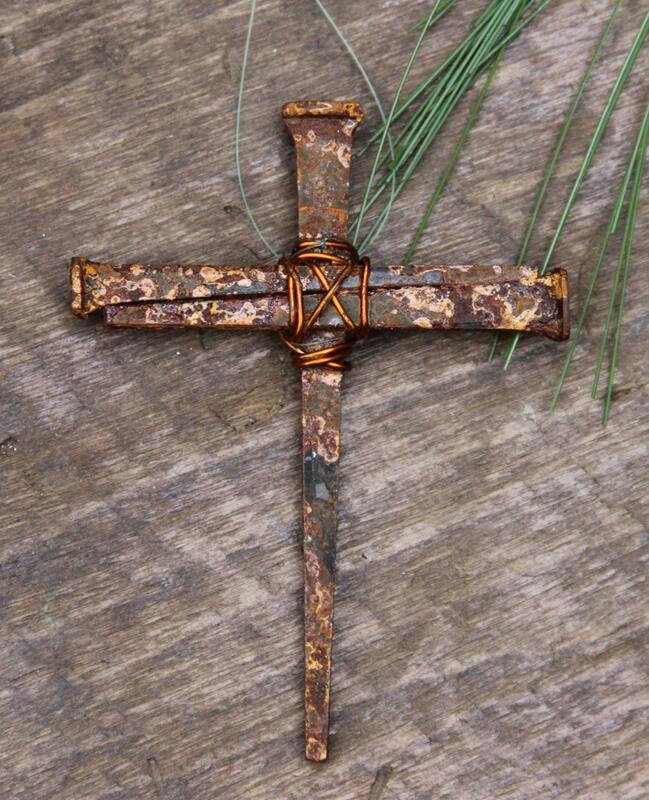 Handmade artisan cross crafted from 3 Antique style "spike" nails and hand wrapped in copper wire. 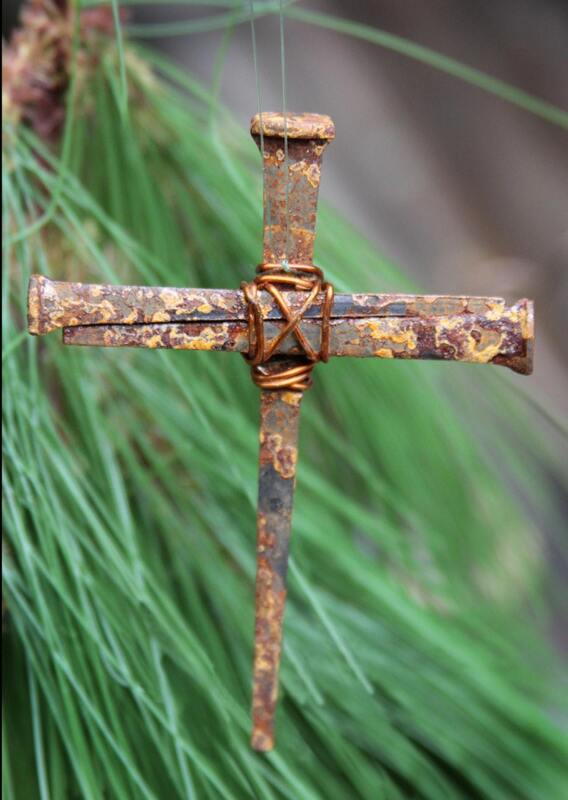 Nails have been aged to a glorious patina then clear coated to preserve for years to come.